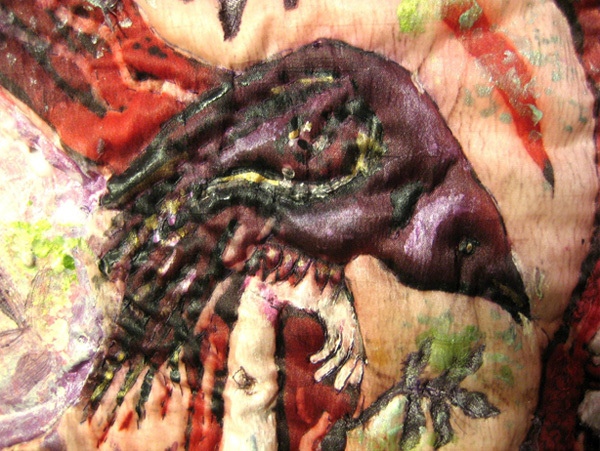 Methods: Hand-dyed, quilted, embroidered, and appliquéd image to be mounted on stretched canvas with background and details painted in with acrylic and iridescent gouache paints. 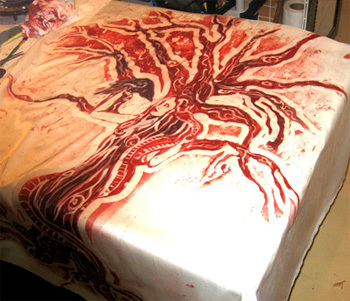 Wax is painted on as a resist, and dye sponged on. 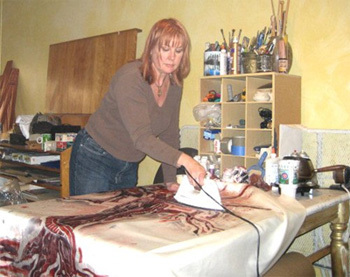 After layers of dye are applied, wax is removed by ironing fabric with newsprint underneath to soak up the melted wax. 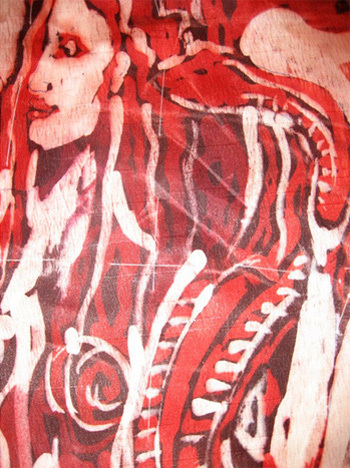 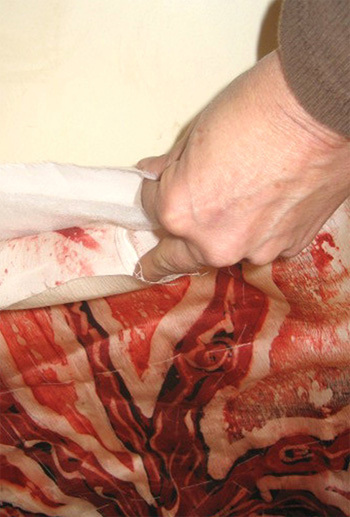 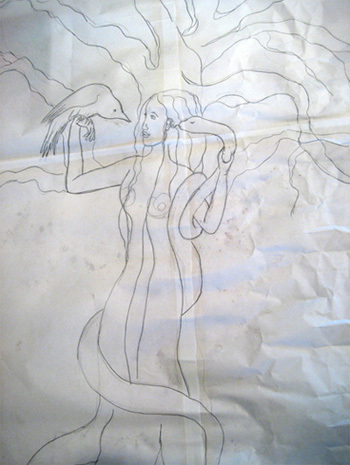 Dyed image is laid over cotton broadcloth, with batting in between. 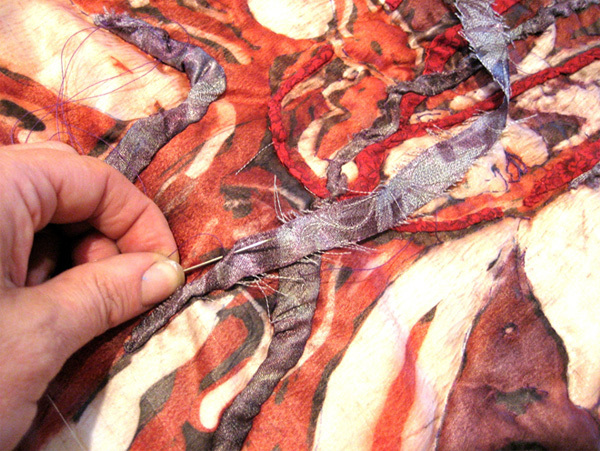 A basting stitch is used crisscross across the three layers of materials to hold them in place. 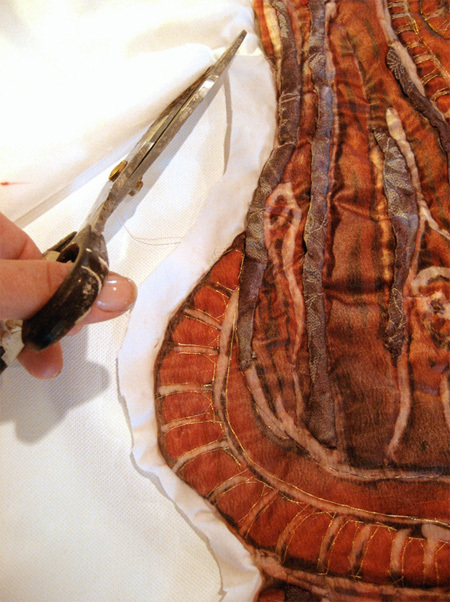 Edges of image and batting are trimmed, turned under, and sewn with invisible stitching to bottom layer of fabric. 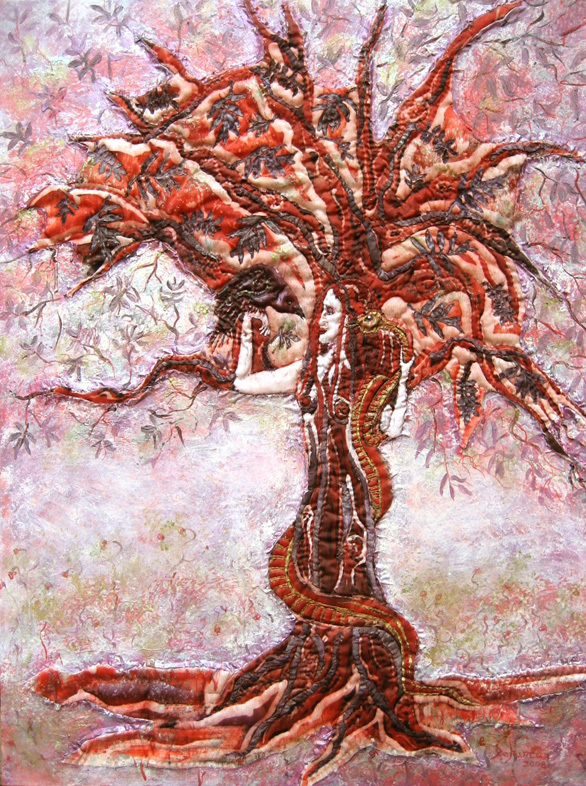 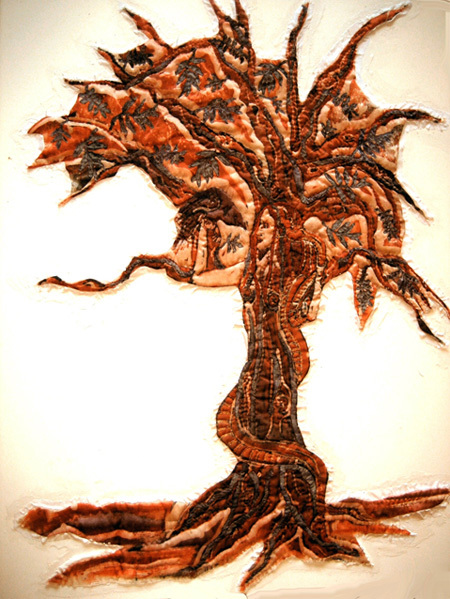 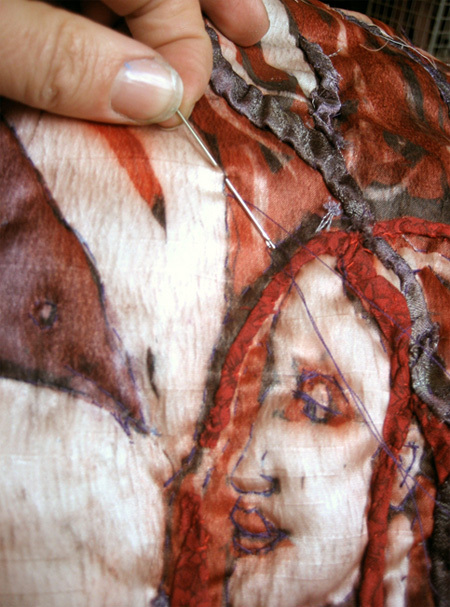 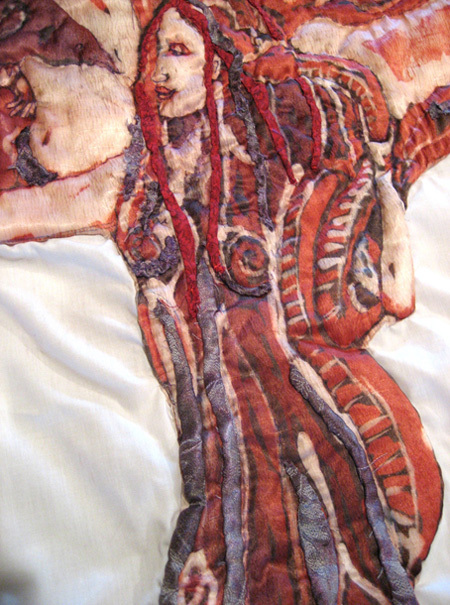 Pieces of fabric appliqué are sewn into the image using invisible stitching. 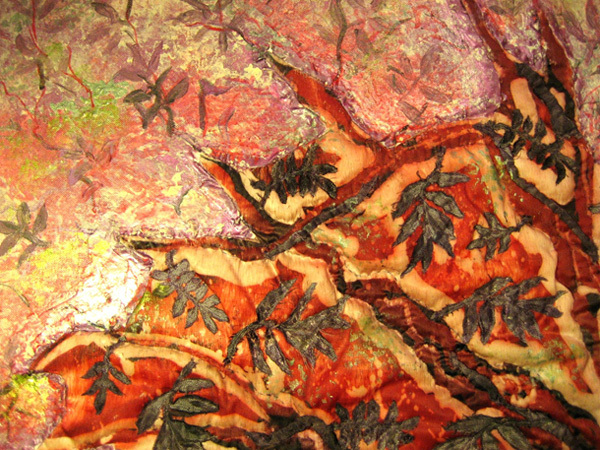 The layers of fabric are quilted together, using the image as guidance, giving a slight 3-dimensional quality. 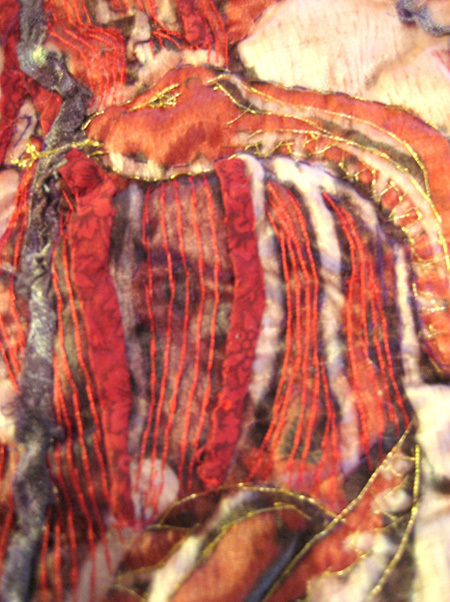 Finer detail images are embroidered to emphasize them. 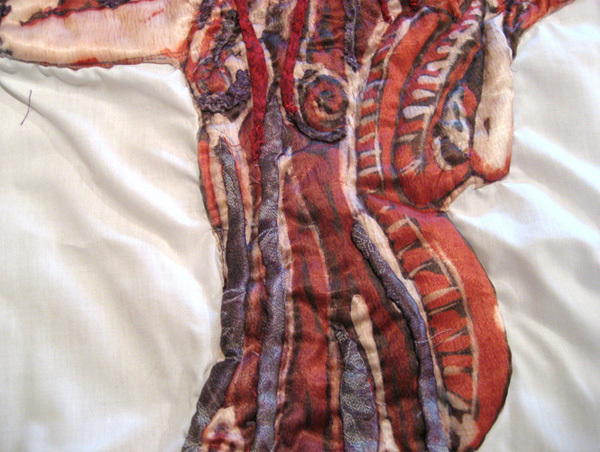 Excess backing fabric is trimmed away from image. 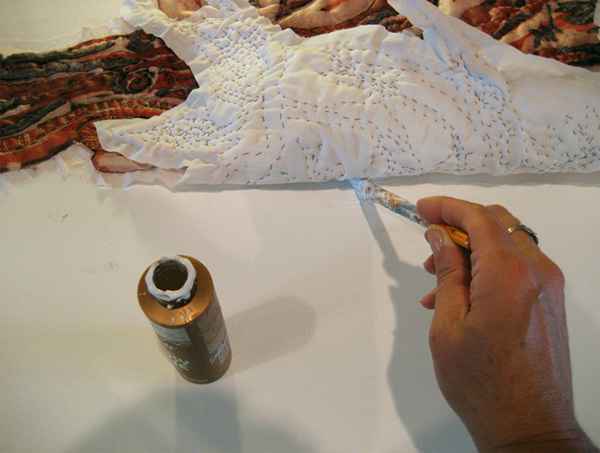 Remaining quilted image is glued to a canvas. 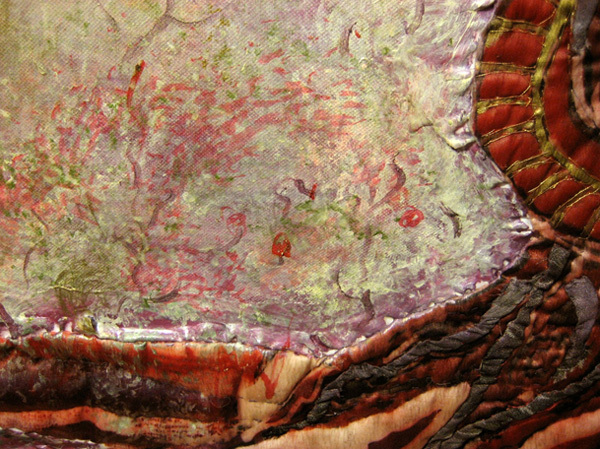 Quilted image glued to canvas. 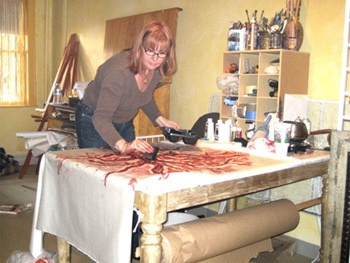 Bare canvas is painted in acrylics and gouache. 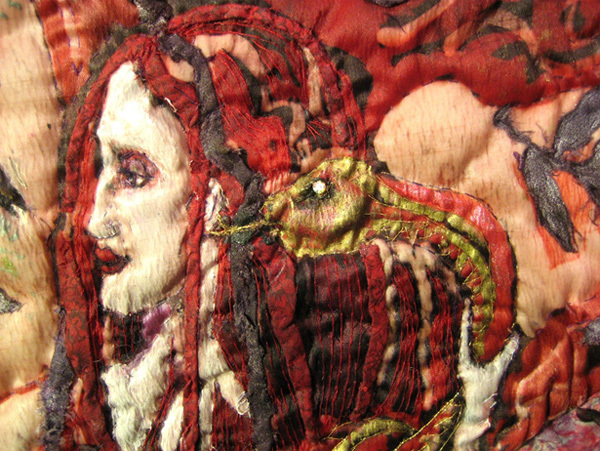 Finer details are painted directly on quilted sections.